Gloria May Jarnaghan Billings was born on May 15, 1936 and entered into rest on August 1, 2016. Gloria accomplished many things in her eighty years on this earth. She grew up in Hoopa, California, more specifically Bald Hill and spent many days playing with her friends and cousins that lived up on the hill. She would share stories of walking from house to house gathering people for a picnic down by the creek where they played, and ate a potluck gathered along the way while they visited. She was active in the ceremonial dances and was a beautiful singer who passed her songs down to her granddaughters to carry on in the dances. She was very proud of her children, grandchildren and great grandchildren that continue to be a part of the Dances and always encouraged them to take care of what they have been given and pass on what they have been taught to their children to help the traditional ways keep going. She was married to Floyd Billings Sr. and lived for a brief time in Oregon, the only extended time she spent away from the Valley. After their separation, she returned home to her family to raise her four children. She attended Humboldt State University to get certified as a teacher’s aide and went on to work at the Hoopa Elementary School for almost thirty years. She helped in many classrooms and saw teachers come and go, but she always kept the children in mind and worked many hours above and beyond to help countless students go on to high school, before retiring due to health reasons. Her health continued to worsen after her retirement, but it was her ailing body that brought her to the healing of her soul when she was lead to join the Indian Shaker Church in the spring of 1998. Gloria received her healing and went on to renovate her former residence on Pine Creek Road to be a place of prayer in the Shaker Faith. The home was recently dedicated and she was ordained as the Minister of the Hoopa 1910 Indian Shaker Church. She has traveled to Washington, Oregon, and other churches in California to support her brothers and sisters and was always willing to open her church for prayer when there was a need. 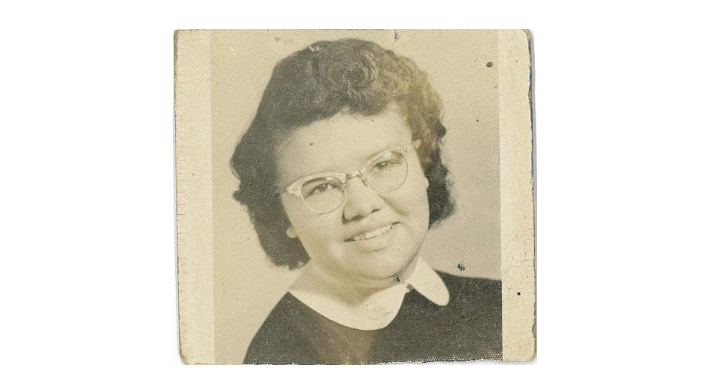 Gloria was preceded in death by her Grandparents William and Stella Brown Jarnaghan, her parents Oscar Elmer and Ruby Doolittle Jarnaghan, her brothers Elmer Robert “Fudge” Jarnaghan, Herman Leroy “Jack” Jarnaghan, and William Joseph Jarnaghan. She is survived by her sister Marjorie and Everett “Tweet” Colegrove Sr., sister-in- law Marlene Jarnaghan, her step- sister, Molly Ammon, and her special friend, Keith Baldy. Her four children, Floyd and LeAndra Billings Jr., Debbie Billings Baldy, Oscar “Tyke” and Lori Billings, and Richard Billings. Her grandchildren, Jacklin Billings, Floyd “Cowboy” and Amber Billings III, Darcy and Brian Padilla Jr., Brian Billings, Ruby and Mikey Mularky, Loretta and Lance Teodecki, Lyle Baldy Jr., Lavae and James McCovey Sr., Lorraine and Eric Castaneda, Leroy Baldy (Chelsea), Latasha and Rooster Jackson, Lori Baldy, Loni Baldy, Laree Billings, Lindsey Billings, and Roseanna Billings. Her great-grandchildren Thomas, Trystan, Torin, David Jr., Darius, Bryant, Brayden, Brian II, Jazmine, Jessica, Alanis, Brendan, Chayden, Dayne, Hazel, James Jr., Lionel, Anthony, Izabella, Auhna , Jocelynn, Loretta, Benjamin, Elijah, Eva, Lil Rooster, Nicholas, Nathan, Bucky, Delmar, Vincent, Bailee, Autumn, Quincy, Richard and Johnny. The pallbearers are Brian Billings, Floyd “Cowboy” Billings III, David Ruiz Jr., Lyle Baldy Jr., Leroy Baldy, and Quincy McCovey. Honorary pallbearers are Keith Baldy, Sonny Pratt, Everett “Tweet” Colegrove Sr., Everett “Muss” Colegrove Jr., James McCovey Sr., Eric Castaneda, Brian Padilla Jr., Rodney E. Vigil, Sr., Jesse James, Rooster Jackson, Michael J. Mularky, Lincoln “Loggy” Jackson, Joe Joe Jarnaghan Sr., Darin Jarnaghan, Joey Jarnaghan, Rocky Colegrove, Junky Gray, David Ruiz Sr., Elrod Masten, Freddie Marshall, Harold Campbell, Willy Hoaglen, Freddy Brown, Sylvester Brown, Douglas Brown, Denny Kane, Bautisto “Cheetos” Pacheco, Lyle Baldy Sr., Harold Jones, Lance Teodecki, Wayne Grant, Joe McGinnis, Brian Tripp, Kenny Doolittle, Joe Lemieux, Bob Carmony, Joe Joe Jarnaghan Jr., Monte Jarnaghan Jr., Artie Jones, Oscar Brown, John Marshall, Leon Strom, Fred Donahue, Roy “Chip” Tulee, Bishop Francis “Hoss” Tulee, Albert Moses, Cecil Tulee, Wayne Barr, Jake Wolftail, and Charlie Case. A wake will be held at the Hoopa 1910 Indian Shaker Church on Friday, August 5, 2016 starting at 5:00 p.m. The funeral service will be at the Neighborhood Facilities Gymnasium at 11:00 a.m. on Saturday, August 6, 2016 officiated by George “Porty” Blake. Please join the family for a meal at the Fire Hall immediately following the burial at the Jarnaghan Family Cemetery on Bald Hill. The obituary above was submitted by Gloria’s family. The Lost Coast Outpost runs obituaries of Humboldt County residents at no charge. See guidelines here. Email news@lostcoastoutpost.com.